When it comes to JAKKS my collection is an impressive one. From bone crushing action to the Classic Superstars series. But today I’m focusing on the basic Ruthless Aggression – Classic Superstars era. 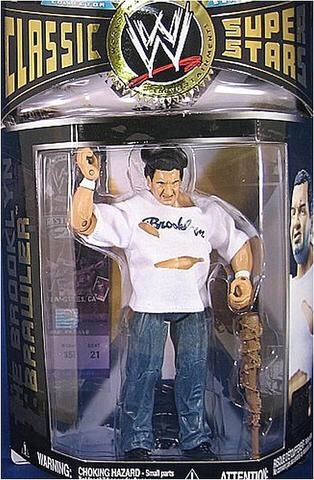 Brooklyn Brawler (Classic Superstars 12) Brawler was a job guy with lots of gimmicks but having him in action figure form was a treat. He was a day one for me. 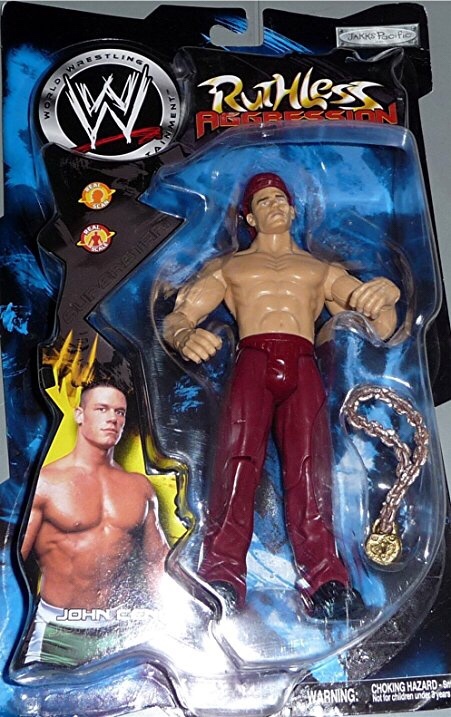 John Cena (Ruthless Aggression Series 3) This was Doctor of Thuganomics era Cena and at the time he was the coolest figure around to make up your own raps against your other figures. 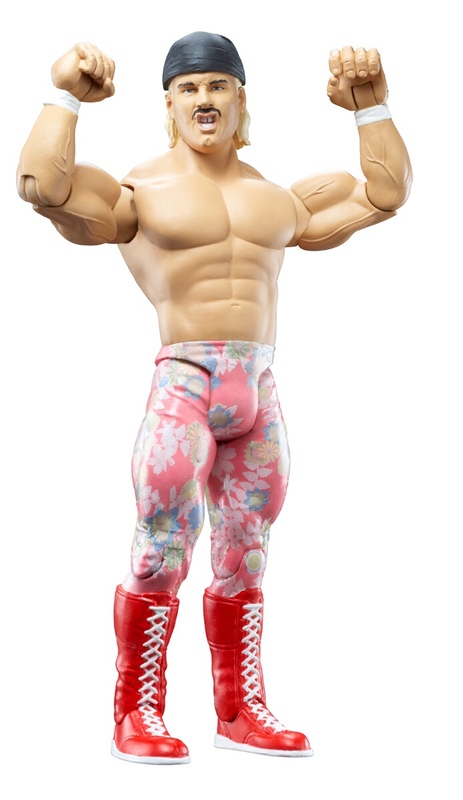 Jesse Ventura (Classic Superstars 21)This figure mirrors the LJN Ventura with his blue bandanna and pink flowery tights. Once I saw the resemblance it was a must have. 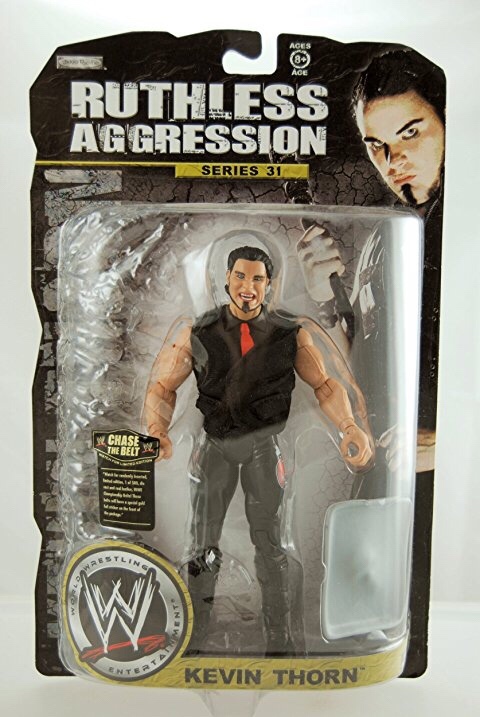 Kevin Thorn (Ruthless Aggression Series 31) Who doesn’t want a gothic vampire wrestling figure. The likeness is spot on and put him next to Ariel you got yourself the Brood 2.0 or a good Twilight spin-off. Jim Neidhart, Marty Jannetty, and Tito Santana (Classic Superstars Series 3 Three Pack) When building the Hart Foundation you really need an Anvil and at the time the only Jannetty figure was a two-pack Rockers. With Tito you could build Strike Force with a Rick Martel model fig. Finding this set was a real get because it was hard to find.